AUG. 13: The Astros have acquired reliever Tyler Clippard from the White Sox for a player to be named later or cash considerations, according to announcements from both teams. This is the second trade of the season involving the 32-year-old Clippard, who went from the Yankees to the White Sox last month in a deal that saw major leaguers David Robertson, Tommy Kahnle and Todd Frazier head to New York. Clippard struggled to prevent runs this year as a Yankee, with whom he pitched to a 4.95 ERA over 36 1/3 innings, in part because of a bloated walk rate (4.77 per nine). Clippard did post a 10.44 K/9 with the Yankees, though, and allowed just two earned runs in 10 frames with the White Sox. The right-hander also added 12 strikeouts against five walks during that span. The Astros have been quiet this summer in terms of trades, with longtime starter and now-reliever Francisco Liriano serving as their most prominent in-season acquisition. And while the Astros possess the best record in the American League, 72-45, and a bullpen that ranks fifth in the majors in fWAR (4.9), their relief corps has scuffled of late. Over the past 30 days, Houston’s bullpen has logged the league’s sixth-worst ERA (4.96). Considering he has been successful with multiple teams as both a setup man and a closer since debuting in 2007, Clippard may help the Astros overcome their recent issues. However, as someone who generates a lot of fly balls (his 52.1 percent FB rate ranks fourth worst among relievers), Clippard might not be a great fit for home run-friendly Minute Maid Park. Nevertheless, he’ll slot into a bullpen that currently features a few other proven options – Ken Giles, Chris Devenski and Luke Gregerson – and has seen youngster Joe Musgrove dominate. The team could also be close to welcoming back Will Harris, who has been on the disabled list with shoulder inflammation since July 28. For the White Sox, parting with Clippard likely wasn’t an especially difficult decision. The rebuilding club has been selling off veterans dating back to last winter, after all, and Clippard’s an impending free agent whom Chicago acquired in large part to help balance out money in its trade with the Yankees. Clippard is on a $4.25MM salary and is due roughly $1.14MM of that through season’s end. Ken Rosenthal of MLB Network first reported that the Astros were trying to acquire Clippard (Twitter link). Jon Morosi of MLB Network tweeted that a trade was close. FanRag’s Jon Heyman tweeted that Clippard was indeed on his way to the Astros. Photo courtesy of USA Today Sports Images. Same here. I double checked it. As an Astros fan, I am ok with this. They need help and it’s not like he will be closing games for them. 1.80 ERA with the Sox tells me the Yankees could not coach him properly (big surprise, considering Rothchild is a pitcher killer). WTF? I am beginning to think they do not know WTF they are doing. A 1.80 ERA with the White Sox should tell you little about the Yankees, and lots about the perils of small sample sizes. It’s 10 innings dude, dial it down. LOL….you don’t have a clue. Nationals or Astros which is it? I think the Stros are going to go after anyone that is better than they currently have. Team seems flat since the deadline. Rosenthals twitter account says Astros, so I’m going with that. Astros can do a lot better than that, but at least he a big league arm, which I can’t say for most of the pen. Stros fans love sending Preston Tucker off in trades. Sure this news has Keuchel beaming…..
did you like him when he was with the Yanks? He has actually looked good with the white sox. All us from my hood be wearin’ dem Sox caps, tops and jackets! It also still has him picture in NYY uni…. Clippard was very effective against the Astros this past week and against the Royals on Friday. He has been very effective pitching for the Sox. The Chicago papers have reported that Clippard has been working with Don Cooper and rediscovered his prior effectiveness. Why don’t the tigers give the Astros one of their fine AAA relieves in a Verlander trade. Why can’t the tigers give a good young reliever in a trade with Verlander. Or even Alex Wilson should improve them. This makes so much sense somebody tell them. Verlander is a franchise cornerstone and will have his number retired in Detroit someday soon. Can’t give that guy away for peanuts even though he isn’t worth more than that. Stros faced a similar situation, albeit to a lesser extent, with Roy Oswalt a few years back when rebuilding. It makes sense for Avila to be patient with Verlander’s trade market. He’s a face of the franchise, at least a borderline future HOF, and has shown there’s plenty of gas left in the tank. Avila appears to value him as a top-end SP (arguably a fair valuation), not to mention his playoff exploits, but JV’s 1st half (4.73 ERA, 4.27 FIP, 1.52 WHIP, 8.43 K/9, 4.39 BB/9) depressed his market value. Teams balked at the asking price of both taking on his 2018-19 salaries ($56M) and returning a quality prospect package. JV’s 2nd-half (2.01 ERA, 3.53 FIP. 0.94 WHIP, 9.82 K/9, 2.68 BB/9) has been more in line with his 2016 near-Cy Young campaign, and his stuff looks excellent. Finishing the year in similar form could boost his trade value to where Avila can net at least a decent return. JV may even become preferred overall to top FA SPs like Arrieta (32 next season) and Darvish (31), who come with their own concerns and risks and will likely demand long-term deals (5+ years) with AAVs comparable to JV’s. Acquiring JV would be akin to getting a SP in the same tier, only on a 2-year contract (albeit at the added cost of prospect capital). At worst, Avila can simply hold onto JV and reevaluate at next year’s deadline. He’s not under pressure to dump payroll. Well played Hahn and Co.
Was there a question or something? the only player the Astros have named Marte is a SS they signed for 70k this J2 period, so that seems about right. As a Yankees fan, you should be more concerned about clinching a playoff berth at this point. They’ve been sinking since the All-Star break. Miguel Gonzalez should be the next Sox pitcher to be traded. His last start was excellent. Four of his last five have been solid, with only one dud. Trading Gonzalez could open a slot in the rotation for Giolito. Maybe they’ll flip Albuquerque next week. Either way, I like it. And yes, Miguel would be a decent back of the rotation guy down the stretch for a contending team in need. Letting Miguel walk was one of the dumbest things Dan Duquette did this year, and yet no one mentions it. Given the “love” that so many folks here have for the O’s, I find this to be quite the oversight. Miguel Gonzalez was released by the Orioles on April 1, 2016 and signed as a FA by the White Sox 5 days later. Gonzalez spent a few weeks at AAA Charlotte before joining the White Sox rotation in late April. He went on to have a decent season on the South Side, comparable in many ways to his success as an Oriole from 2012-2014. Gonzalez hasn’t been nearly as effective this season with his command being his single biggest issue. However, he also had some minor ailments throughout the 2017 season and has been much more effective since being reinstated from the DL immediately following the All-Star break. You’re either delusional or joking; I hope it’s the latter, but it’s hard to tell sometimes. I assume you mean Francis Martes….. dude can’t consistently throw strikes. I don’t think he’ll ever be anything special unfortunately. I would love Garrett Stubbs, but I think Rogelio Armenteros or Framber Valdez probably makes more sense. This is a salary dump move for the White Sox. I’d be a little surprised if they got anyone in the top 30. My guess is a little cash and someone in the 40-50 range. They’re already the team to beat in the AL. If he continues the effectiveness he had in Chicago (albeit in a small sample size), he could help them win one crucial game. If he does, Houston will say he’s well worth it. It’s not like they’re sacrificing anything important for him. Who’s going to close in chicago? Probably doesn’t matter cause the plan to lose is a full go. I swear, every time I turn on a game, no matter what team, Tyler Clippard is pitching. Dude gets around more than Jeter in his prime. yeah, but do all his “fans” get a gift basket the next morning? 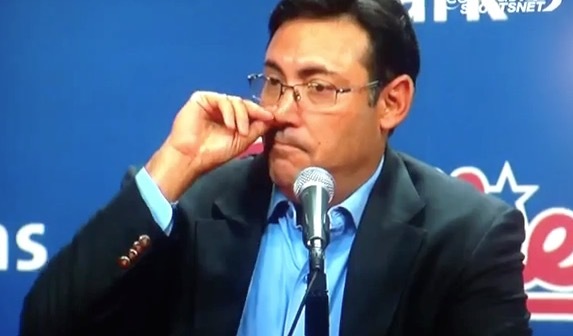 i wonder what other reliever they could’ve gotten for Teoscar Hernandez. Gotta be kicking themselves for that one. Don’t worry about that. 1) They still have Kenny Williams in the FO, and 2) they aren’t known for developing talent. Worry about your own team on the North Side. At least the White Sox have had success developing pitchers in their minor league system, much better then the Cubs in recent years. Btw-Unlike the Cubs where Theo is still calling the shots as Executive President of Operations, GM Rick Hahn is the primary architect of the White Sox rebuild. For the most part, Kenny Williams is just getting out of his way and concentrating on his first love of scouting amateur talent, be it of the international variety like he did with Jose Abreu and Luis Robert or at the college and high school ranks. Much of the prospect talent the White Sox have acquired under Hahn has come in trades and most have had multiple years of development in other organizations before their arrival. The White Sox have also rebuilt their scouting and developmental departments in recent years to coincide with their new full-on rebuild at the MLB level. The White Sox can also thank the Cubs for making their former manager Rick Renteria available to help develop all this young talent. They will also be forever grateful to their neighbors to the north for the addition of top OF prospect Eloy Jimenez, perhaps Dylan Cease as well, when all is said and done. I sure hope Kenny didn’t put HIS stamp on Collins. That kid has bust written all over him. “Taken in the first round last summer, Collins is currently producing they type of numbers at High-A that he projects to put up as a major leaguer. Collins has a long swing with a hitch and a tendency to bail out on his back leg rather frequently. This keeps him from making consistent, solid contact and amounts to a likely below-average hit tool even factoring in some slight modifications. However, Collins’ consistently loose and leveraged swing allows for quality launch angles as he can effortlessly use his big body to turn on pitches over the heart of the plate. The power is what carries the profile, but his ability to work the count and produce a high number of walks may be the saving grace in keeping him as a classic three-true-outcomes type of major leaguer. Unfortunately, the offensive profile plays much more average as a first baseman, which he will likely have to switch to because of the flaws he shows behind the dish. Collins shows little feel for receiving and struggles blocking and moving laterally because he is a below-average athlete. The arm is pretty solid, but his glove skills are really lacking to project much of a chance of him sticking as a catcher, where he would be an elite offensive contributor. All that being said, Zack Collins is still the #5 rated catching prospect in MLB and the overall #10 talent in a stacked White Sox system that hasn’t exactly featured a standout prospect at the position since this 61-year old fan can remember. As long as Collins can play sufficient defense and call a respectable game his current slash line would look just fine hitting near the bottom of a future White Sox batting order that holds the promise to be an impressive group of hitters throughout. They will feature elite speed and OBP numbers at the top with Luis Robert and Yoan Moncada along with above average power at every spot in the lineup including 40+ HR potential from RF Eloy Jimenez somewhere in the middle. Besides a potential powerhouse pitching staff, the White Sox of 2019 and beyond should feature a lineup that will annually produce 100+ SB’s and 200+ HR’s. Tyler Flowers did crack the back end of a couple top-100 prospect lists after the White Sox acquired him from the Braves in the Javier Vasquez deal back in 2008. That being said, they didn’t draft him originally like they did with Zack Collins and Flowers wasn’t exactly a difference maker with the White Sox. Flowers was serviceable for the White Sox, more so with his handling of pitchers and some decent but not outstanding defensive skills.. Much like Collins has shown thus far, Flowers had some pop but produced low batting averages. He did not have the knowledge of the strike zone that Collins has displayed thus far which is reflected in the latter’s high walk rate and OBP. We’ll see how it plays out with Collins but if he turns out to be another Tyler Flowers White Sox fans will be disappointed. Flowers was BA #60 in ’10. Collins was BA @56 last year. So, equally touted C prospects. Don’t move the goalposts. And try to keep things under 1000 words. Zack Collins cracked the top-100 in his first pro-season after being drafted by the White Sox. Tyler Flowers didn’t achieve that status until his 4th and 5th seasons as a minor league ball player. As I said, if Collins doesn’t fair better than Flowers as an MLB catcher in Chicago, White Sox fans will be disappointed. Anything else you would like to nitpick in my “150 word” reply to another commenter besides the six you picked out from part of a sentence, one that also stated, “since this 61-year old fan can remember”. Yes they have great prospects but I would bet money that it doesn’t work out as well as you are expecting. Seems weird that the Astros would send cash that covers the remainder of the contract to the White Sox when the Astros are the ones that will be paying him, not the White Sox. Yah, that doesn’t make a ton of sense. If he’s trying to say that the White Sox are getting $1M instead of a PTBNL, that’s an incredibly poor way to word it IMO. I’m a bit confused on that as well. I get that they’re not getting a player in return. If he’s owed 1.14 mil. and the Sox receive 1 mil. then is the rest of the money paid by the Sox or Yankees? Seems odd to take the player, pay most of his remaining salary while the other team picks up the rest and have nothing else to show for it. What am I missing? My initial guess is Houston took on the remaining 1..14m and paid the Sox 1M. The Sox will not receive a player in return they will get the 1M. Yeah, but then they pay the rest just because what, they’re swell guys? Or because Tyler worked out of the pen for about a month? Yea I was confused, why would the Astros give the Sox 1m for Clippards contract, If he is in Houston, wouldnt they just be paying it themselves? The Sox are paying $.14mil of his remaining salary. The “Stros $1mil. this part has nothing to do with the return the Sox receive. That will be based on performance and spans from additional $ to a player, from a pre-determined list and performance thresholds. Got it. Thanks for the clarification and sorry for the misunderstanding. 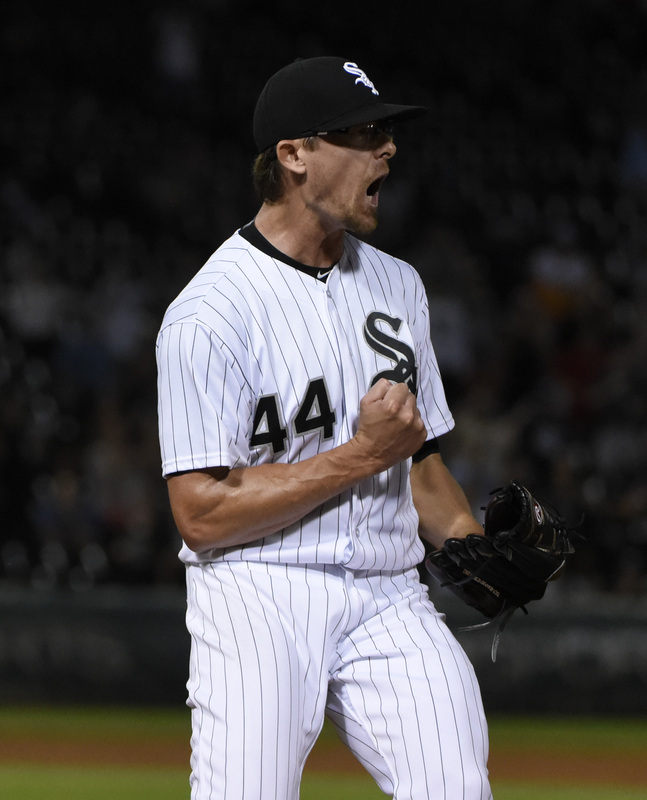 The White Sox traded recently acquired RP Tyler Clippard to the Astros for cash or a PTBNL. The Astros sent $1M to the White Sox in the deal, covering the majority of Clippard’s remaining contract.